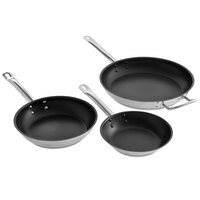 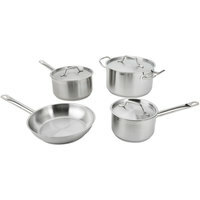 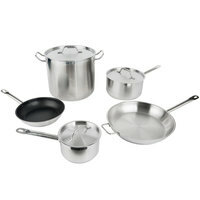 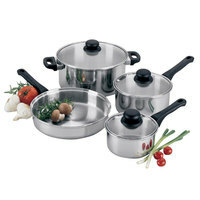 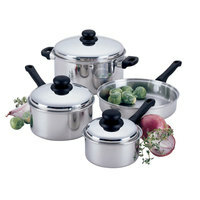 With our cookware sets, it’s easy to stock rooms in your extended stay hotel, condo building, or time share. 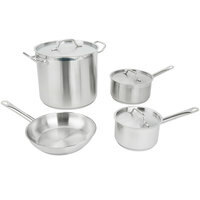 These sets all feature frying and sauce pans, so your guests can easily sautee vegetables, simmer sauces, or boil vegetables. 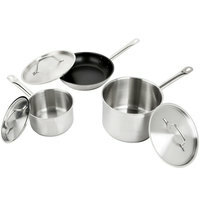 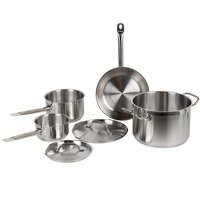 Since our pots and pans sets are made from durable stainless steel materials, they’re sure to stand up to long-term use. 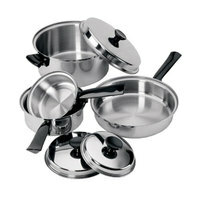 Some of these products even come with glass lids, giving you a clear view of the food that's cooking. 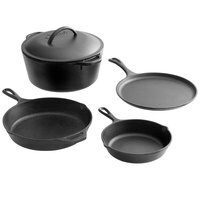 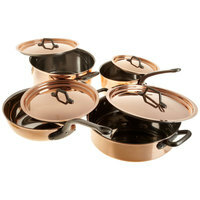 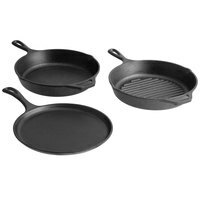 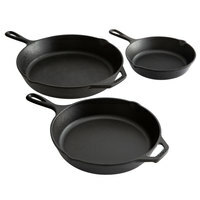 Best- This Lodge pre-seasoned cast iron skillet set is unparalleled in heat retention and even heating. 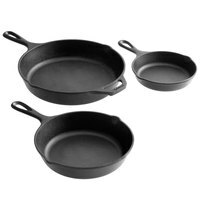 Because it comes pre-seasoned, it offers a natural, easy-release finish that improves with use, letting you cook healthier by limiting the amount of oils needed in your cooking. 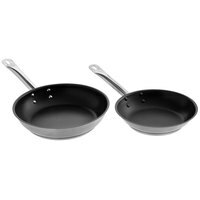 Each skillet is built with 2 easy pour lips, and can be used anywhere from induction, ceramic, electric, and gas cooktops, to your oven, grill, or even over a campfire. 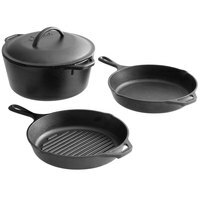 Best - This Lodge cast iron skillet set boasts unparalleled heat retention and distribution. 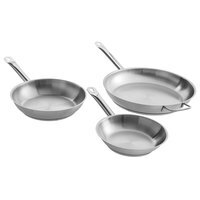 It is pre-seasoned for a natural, easy-release finish, and its extremely durable design makes it perfect for serving appetizers and entrees right from oven-to-table. 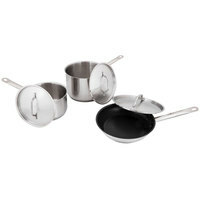 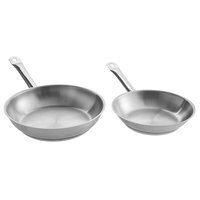 Each skillet features two pour lips and long handles for efficient and safe use.